Peter S. Brandon is Professor Emeritus at the University of Salford, UK, having been Head of School and Pro Vice Chancellor for Research. He has chaired many of the major research committees related to the Built Environment in the UK, including the 1996 and 2001 Research Assessment Exercises. Patrizia Lombardi is Full Professor and Head of the Interuniversity Department of Urban and Regional Studies and Planning at the Politecnico di Turin, Italy. 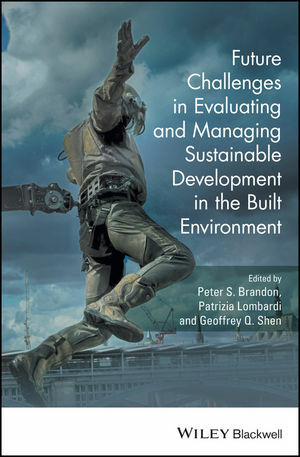 She has been an established gure in the eld of evaluating sustainable urban development for over 25 years, publishing widely in the subject area and coordinating several pan-European projects. Geoffrey Q. Shen is Chair Professor of Construction Management and became Associate Dean of the Faculty of Construction and Environment of the Hong Kong Polytechnic University, China, after completing two terms as Head of the Department of Building and Real Estate. He has a proven track record of research leadership in collaborative working and sustainable urban development.